The song tells the funny, but slightly gruesome story about an especially resilient yellow cat that can withstand all kinds of unfortunate mishaps when its unkind owner, Mr. Johnson, tries to get rid of it! The cat overcomes a cyclone, a balloon ride far from home, an explosion of dynamite and many more challenges on each occasion, only to return home once more. 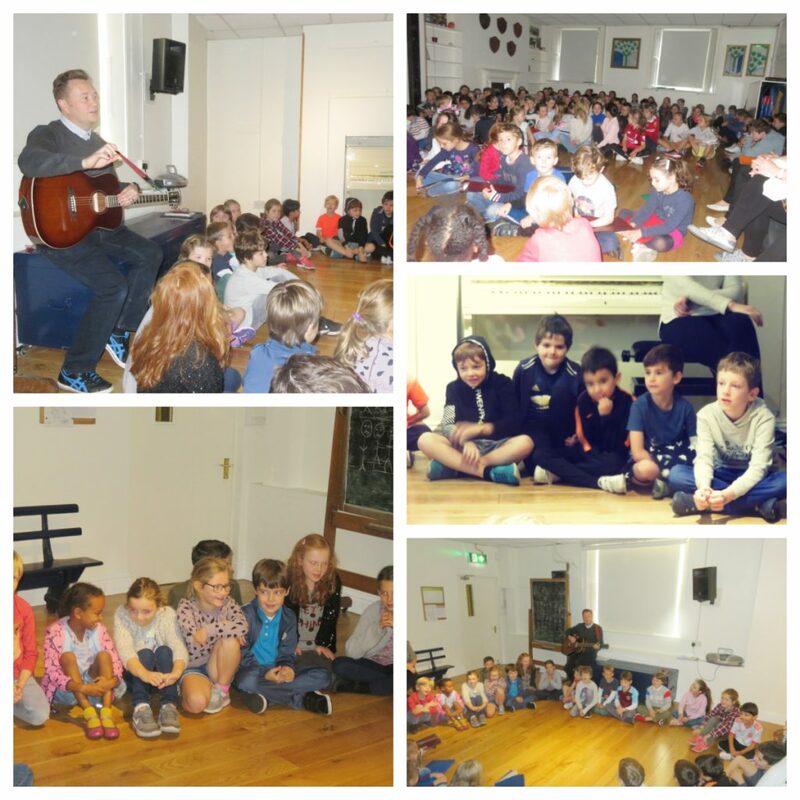 Form Two did a brilliant job in accompanying Mr. Jensen and they sang with great gusto and broad smiles on their faces. We hope it wont be too long until we hear Mr. Jensen take his guitar out again!